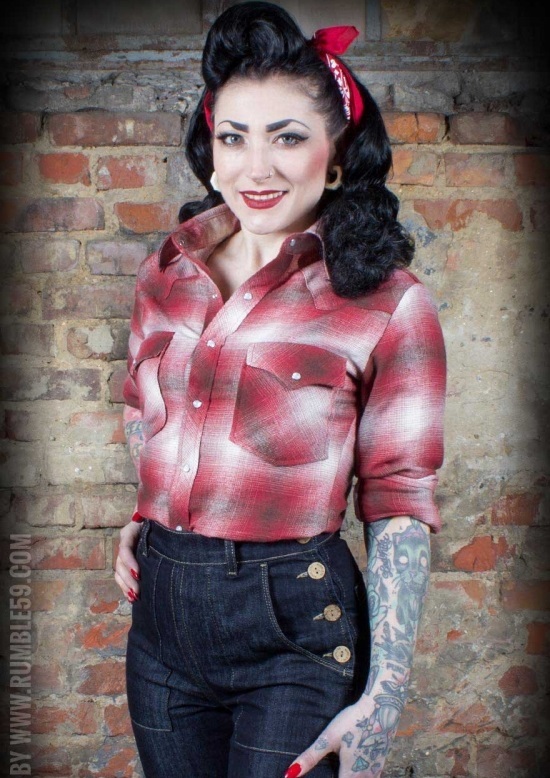 Red plaid flannel shirt in stunning 50s vintage look. This check shirt comes in a relaxed fit, sewn from super-soft cotton flannel. Patch pockets with flaps are closed with mother-of-pearl-style push buttons. The long-sleeved shirt's high cuffs also come with snap fasteners for easier rolling-up during sweaty tasks. 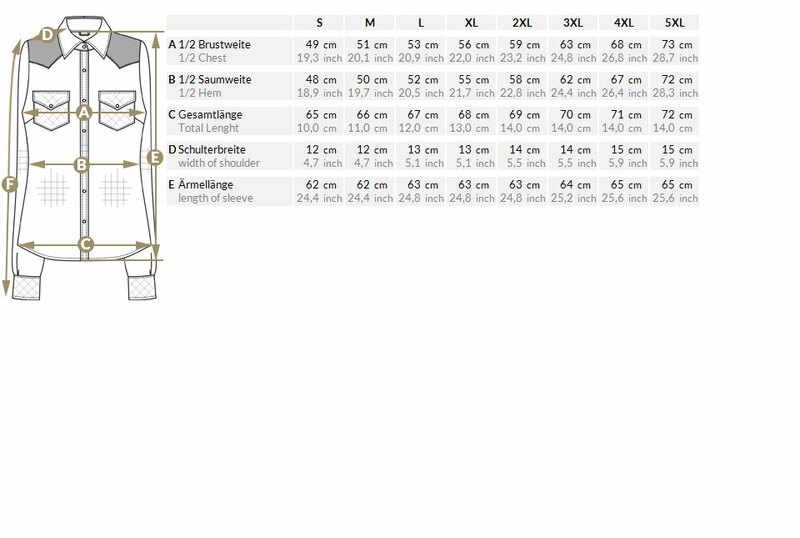 Its curved yoke underlines the casual western look of the shirt. Soft cotton fabric with checks ensures a great wearing comfort and a feminine workwear look. So, girls - snap up this feminine workwear highlight, roll up those sleeves, and get right under the hood! 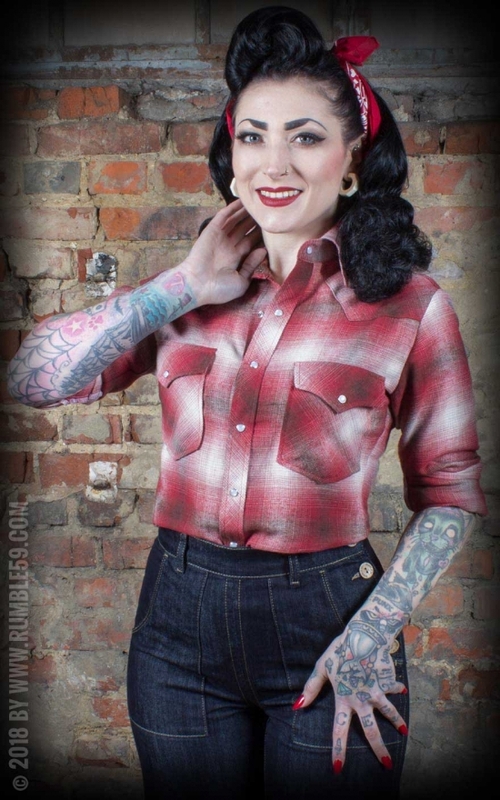 Our beautiful model Lola Diamond is158 cm tall and wears this shirt in size S.
Rumble59 offers a wide selection of 50s retro clothing! 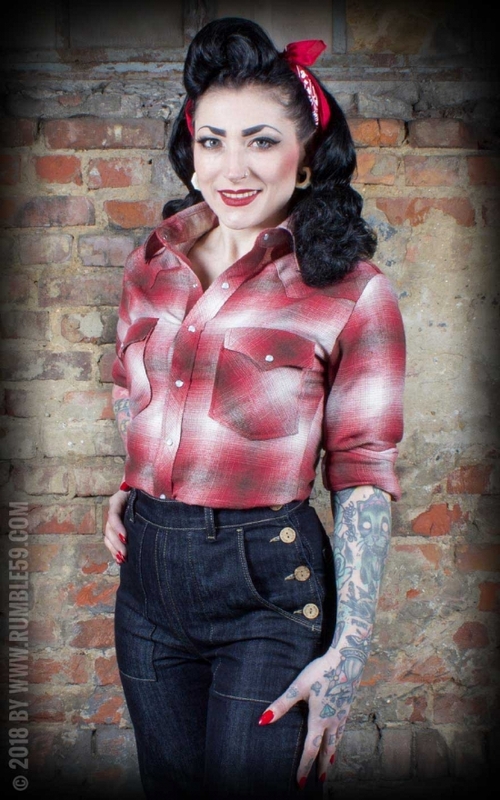 This fantastic check shirt is for every rockabella who wants to be well dressed even when getting her fingers dirty.